Vaporjoes.com – Vaping Deals and Steals – THE YEAR OF THE 26650: THE BIG NASTY – AN EXAMPLE OF HOW ITS DONE! THE YEAR OF THE 26650: THE BIG NASTY – AN EXAMPLE OF HOW ITS DONE! I didn’t want to pimp this until I actually bought it. As I predicted this would be the year of the 26650 and the Big Nasty is a prime example of what the community has been waiting for. The Big Nasty goes a step beyond. In terms of an American made mechanical, its at a reasonable price. We have seen mod makers charge twice as much for essentially a battery tube with some cake decorating on it. Thus, the clones have taken over and many mod makers are having a hard time selling their once prized products. 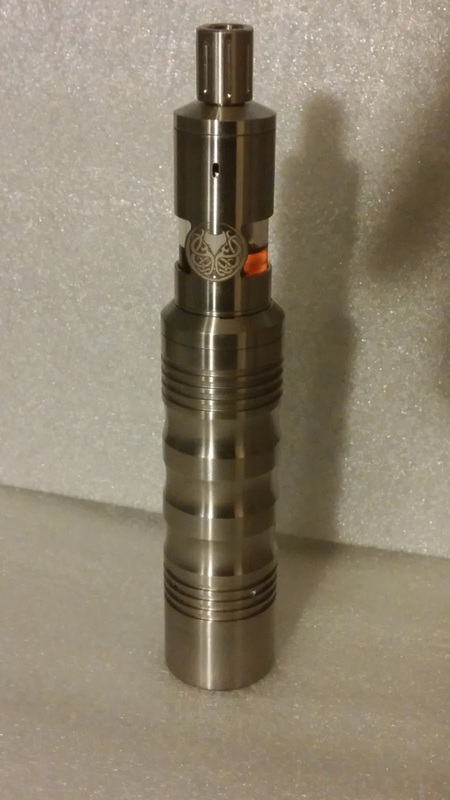 The Big nasty is a rock solid mechanical, has a beefy magnetic switch, and little voltage loss. Mix that with a 26650 design and a high amp 26650 – and you will tickle even the most skeptical sub-ohmer in their “nono” spot. In terms of size the Big Nasty is 38mm wide but is shorter than the 18650 Poldiac. Its girth tapers nicely at the top to complete the 23mm finish. A thing of beauty. 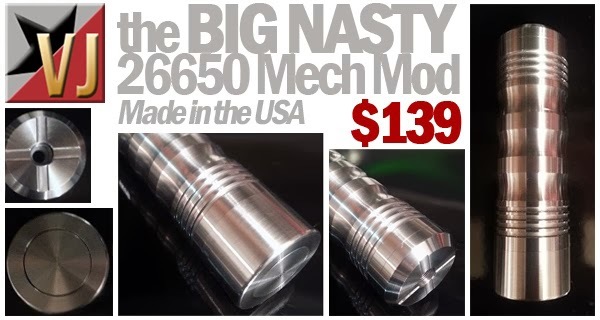 If your looking for a quality mechanical – you HAVE to check out the big nasty. I applaud Cigtechs for bringing this to market – It’s exactly how I would have done it. 2nd round ships Jan 30th – get in before they sell out again.